creative savv: Waxed paper, plastic wrap and foil: what to choose, what to choose? Waxed paper, plastic wrap and foil: what to choose, what to choose? I tend to use waxed paper as often as it will work in each situation. Why? A few reasons, really. It's biodegradable and breaks down in my compost bin. It's easy to work with -- it tears off with minimal fuss (plastic wrap gets all tangled on me when I tear a sheet off), it's microwavable, and doesn't it melt when used to line a baking pan (like a cake pan). No worries about plastic toxicities. talking $$ However, it is more expensive than cheapo plastic wrap. And it's not reusable, as foil and plastic wrap can be. It's a single-use item, so the price is calculated based on price per package at the store. I do use plastic wrap for specific purposes. Plastic wrap is great for when I need something that is somewhat airtight. I use small squares (6 X 6-inches) of plastic wrap as "lids" for my homemade yogurt. I secure this plastic wrap with a rubber band. My used canning jar lids were either onion-y/pickle-y or scratched and vulnerable to rust/bacteria growth. Neither situation was suitable for my homemade yogurt. So, a fresh piece of plastic wrap works well for the yogurt. I also use plastic wrap for freezer pie dough, when flattened into pie-topping circles, and rolled around cardboard tubes. The plastic wrap keeps the dough from sticking to itself, plus it holds in moisture very well, while the dough is frozen. talking $$ Plastic wrap is washable, so it doesn't need to be a one-use item. I used to wash plastic wrap, and hang to dry by sticking pieces onto a cabinet side, right near the kitchen sink. But I tired of the messy look to my sink area. However, I still reuse sheets that look clean enough. I simply set them aside in a corner on the counter, and use them as needed. If they don't get used within a week or so, then they get tossed. So, in talking about cost per sheet/use, you could figure your cost per use based on washing and reusing, if that's your choice. Although it's the most expensive option between these 3 wraps, I find aluminum foil to be my choice in specific applications in the kitchen. talking $$ Aluminum foil's off-the-shelf price is very misleading, if you're of a frugal mindset. 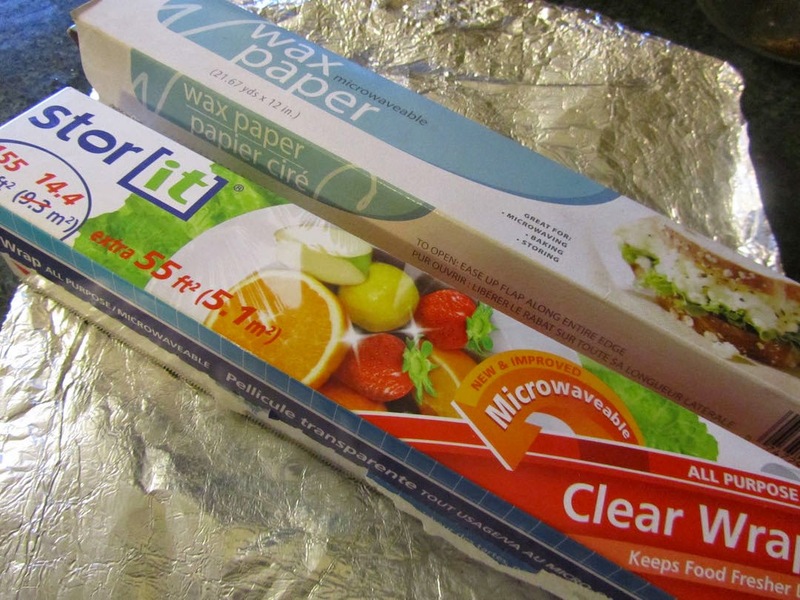 Foil is so durable (for a disposable wrap) that it can be washed and reused multiple times. I typically get about 5 uses from each sheet of foil. Some pieces I get double that, and other pieces/times, I "lose" my piece of foil when I take a dish to someone's home, and it inadvertently gets thrown away. So, we'll go on the average of 5. This winds up multiplying the value of foil, in a sense, by a factor of 5. I'll use Dollar Tree's price per roll ($1 each) for my calculations (since that's where I most often buy these wraps). A 12-inch square sheet of waxed paper costs .015 (one and a half cents). A 12-inch square sheet of plastic wrap costs .006 (just over a half cent). A 12-inch square sheet of aluminum foil that has been washed and reused 5 times costs .008 (just under one cent, if I wash and reuse each sheet). There is the cost of the soap and water, which probably doubles the cost of foil, per each use, to around .016 (just over one and a half cents). My end analysis with these wraps is that the cost per use of all three are relatively close. We're talking the difference between about a penny per use, from least expensive to most expensive. So for myself, I can allow other factors to weigh in on my decision on which to choose. Although I wouldn't define myself as an environmentalist, I often choose in favor of what is better for the environment. For kitchen wraps, that would be waxed paper. I simply toss the used pieces into the compost bin. Also, as far as health ramifications go, I prefer to minimize the risk of transferring chemicals from plastic wrap to my food, as much as possible. With foil, it can be recycled. However, it requires energy resources for said recycling. So, I'll continue washing my foil to get as many uses per sheet as I can. There . . . . now wasn't that a fun math problem?!!! I buy industrial sized boxes from Sam's Club. I have never worked out the cost per sheet, but a box of any lasts me a long time. The worst thing is having to store the large box. I admit I no longer re-use plastic wrap unless I can use it immediately. Foil on the other hand I do. Who knows why I made the distinction...lol...and I do re-use certain plastic bags, but not if they had meat in them. Parchment paper is my biggest expense and this year I gave in and bought two silicone mats. I find them easy to use and since I shopped around for a decent price I don't think it will take them long to pay for themselves. well, on reusing foil vs plastic wrap, for me, at least, foil is much easier to clean up (as it's stiff) enough so that it can be reused. I, too, rinse out plastic bags and reuse (except the meat ones -- I don't think I could ever get those clean enough so I wouldn't worry about bacterial contamination). Is it really a concern to reuse plastic bags for meat? I've seen this concern stated on several blogs. However, my mother reused plastic bags for meat and I do the same. I simply wash them with very hot water and soap, immediately after I've emptied them (no sitting around to let stuff grow while getting warm). I've never had a single problem, and I have 40 years of experience with this! I think that this is an area where people can be overly cautious. However, washing greasy plastic bags can be a pain, so that would be an argument against reusing them. When I'm storing cooked meat, either in the fridge or freezer, I use a hard container that can be washed, either glass or plastic. But with raw meat, I've always used plastic bags, usually from another purchase, like a bag from a cracker box or cereal box, or from a bag of chocolate chips (just about the right size for a pound of ground meat). So I wouldn't even think about trying to save it for a second use. I save purchased freezer bags for fruits, veggies and breads. And I DO wash and use those until they have holes. I imagine plastic freezer bags, the heavy duty ones, would be easier (than the cheap, flimsy sandwich bags) to get clean by washing in soap and hot water, after had stored raw meat in them. Interesting analysis! So I'm curious, does the aluminum work better than parchment for meringues, or do you just not use parchment? I find I primarily use parchment in the kitchen, followed by aluminum foil. I do reuse the aluminum foil if nothing gets on it, but haven't tried washing it. Also, I bought silicon mats as Shara above mentioned, and often use those where parchment would have typically been used. Exceptions would be for foods that really make a mess when baking, and then I'll sometimes sub parchment for the disposable element. I very rarely use plastic wrap. When we do, it's usually for a dough that needs to be wrapped up tight. We do have a package of those plastic elastic rimmed covers (they look much like a disposable shower cap) that we use occasionally, though. For meringues, I like using foil because I can wash it afterwards and use again sometime. The meringues peel off the foil very easily, and I avoid the expense of buying something like parchment that I have never really needed before. When I bake cookies, I find it very quick and easy to just rub a butter-stick paper over the baking sheet. I have wondered if heating the silicone mats in the oven is such a good thing for us. I'm careful about what kind of containers/surfaces that I heat food in and on. So I stick with surfaces that have been around for centuries, like glass and metal. Maybe I'm being overly cautious. I reuse plastic screw on lids from mayo jars. They are the perfect size for small mouth canning jars. The peanut butter I buy also has lids that will work in a pinch on a canning jar but not as well as the mayo lids. They can be washed and reused over and over again and I would think it would be a better solution than rubber bands and plastic wrap. Now, if you make your own mayo then this idea won't work for you but there might be some other food in a jar that you buy with a reusable lid that would fit a canning jar. I do not get the most out of my plastic wrap, waxed paper, and aluminum foil like you do. But I do reuse plastic bags when I can. Thanks for the reminder that these products can often be reused! I use peanut butter jar lids on the small mouthed jars, as well. My problem with the yogurt is I like to make yogurt in the wide-mouth jars, so that we can scrape out the jars more easily. (Nice straight sides from bottom to top.) And I've yet to find a repurposed lid that fits the wide-mouth jars. I may have to break down and buy several of Ball's plastic lids. I use Ball's wide mouth lids and they are very handy. I think they're well worth the price since they can be reused over and over again. I've been using the same lids for years. Linda, I will check the wide mouth plastic lids out. It would be nice to have them, for making yogurt, yes, but also for when I open a jar of home-canned pickles, Id prefer to replace the lid with something non-corrosive. Pickle lids, especially can look pretty awful after a couple of months post opening. I reuse lids or I have even purchased a box and marked the lids as ones I am using in storage with my jars. I am with you to glass as a storage vessel. I have also wondered about the silicone mats. That and plastics. I saw a show about how they were developed in the 1970"s and have over 3000 ways they have been produced. Unfortunately there have been no substantive ( evidence based/peer reviewed articles) on the safety of plastics for food storage or stability when used in cooking. 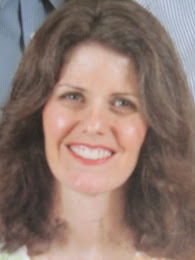 There is a blogger who writes a blog on plastic elimination. " My Plastic Free Life". I do the same thing when making a purchase for something related to food use, checking for country of origin. I just don't trust the "quality control" of some countries which manufacture a lot of goods for export to the US. Great names think alike. I'm a Linda too! Miracle Whip lids (& I suppose other products too) fit on wide mouthed jars. After opening any home canned product I replace the flat canning lid with a plastic screw lid. I make my yogurt in jelly jars covered with recycled plastic lids. Watch for Ball plastic lids at the thrift stores, I've gotten several that way. now here's an interesting observation of mine (okay maybe only interesting to me) -- not all mayo lids fit my glass canning jars. Some brands do not quite fit. You would think that the size would be totally standardized. But some of those lids don't quite screw on properly. Kraft mayo lids DO fit, but some store brand mayo lids don't. Go figure! I'll be watching for the Ball plastic lids at the Lynnwood Goodwill. I find a lot of good kitchen stuff there. I quit using waxed paper for anything hot a few years ago when I realized the wax coating is paraffin (petroleum based). I still use it but never in the oven. I buy parchment and use it for regular baking needs and even create my own "waxed" paper by oiling it. I use glass as storage as often as possible also. Several years ago I was replacing our drinking glasses ( 3 sons = many broken glasses). I bought these from Crate and Barrel http://www.crateandbarrel.com/large-working-glass/s541853 and also the smaller version of this glass and serendipitously bought 5 lids for them at the same time. At the time I had no idea if I would ever use the lids but bought them anyway. I wish I had bought one for each glass. I use them for drinking and leftover storage all the time. 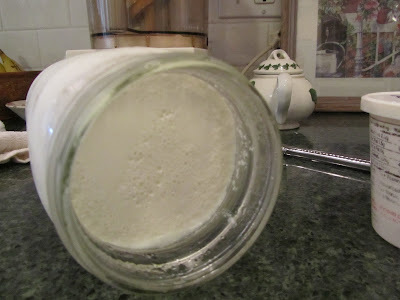 I don't make yogurt because no one here like it, but I do make kefir daily. I store it in the glasses in the fridge. (like you, I had always used wide mouth jars, plastic and rubber bands) My only regret it that I did not buy more glasses and lids. We don't have Crate and Barrel stores here so I will wait. Bummer! I don't know how this compares to your price on parchment paper, but there are brands of soybean-based coated waxed papers. The one brand that I've priced is about $5 a roll (75 ft), and it's also on unbleached paper, so is chlorine-free. The brand is If You Care. You can check out their products at ifyoucare.com. I've seen those glasses. It must be nice to have glassware that can do double duty! I buy unbleached paper (thankfully one of my local grocery stores carries it and it is the same price as the really white stuff) and have seen the soy waxed paper, but it is way outside my price point. Another point is that foil comes in different weights. Usually the lighter weight will do, but with some jobs such as cooking in coals, I like the heaver weight. Oh I love it when a piece of heavy-weight foil comes into my kitchen. Those can last for years, with rewashing. Ha! I can't believe you actually did a price comparison... only you! Anyhow, I try to avoid all of this disposable stuff as much as possible because for some reason it just stresses me out. Should I wash it & re-use it? It's a pain in the rear to have the stuff drying all over the kitchen, but I feel guilty if I don't, so it tends to hang out in limbo on the counter which makes me even more stressed! Ug! At any rate, I primarily use waxed paper for the times when I have a half-used cucumber or pepper or something. I prefer to use those things all at once and just store the cut pieces, but sometimes it just isn't in the cards, and wrapping the cut end in waxed paper helps prevent it from turning into slime. Foil has been my go-to for covering half-used cans of cat food. I keep trying to come up with a feeding system that will eliminate the need to store these half-used cans, but I've been thwarted by the combination of sick & picky fe-lions meaning that each one needs a different kind of food. AAARG! Anyhow, I re-use them several times, but lately I decided that the stress of having bits of foil all over the counters, is it clean or not? yadda, yadda, yadda just wasn't worth trying to save a few pennies, so I've been putting it all straight into the recycling. I'll come up with a better system when I'm out of the land of sick kitties. Do you have success washing regular foil? I find that I need to use the heavy duty stuff if I want to wash & save it. I have one of those large single sinks (farmhouse-style) that I can lay a sheet of foil on the bottom of the sink, flat. I use a rag and soap and wash one side, flip over then wash the other. Having a large flat surface to wash the foil on seems to help keep it from tearing as I wash. And if it gets a small tear, it's usually not a he deal I can reuse even slightly torn sheets of foil for many purposes (like covering a roast, or even making meringues, avoiding the torn spots). I tried using Abeego wraps but I wasn't thrilled with them. They are fabric wraps treated with waxes and plant-based oils, that can be washed and reused many times. They are somewhat clingy. I decided not to get more because they stain easily and they have limited uses (such as for covering or wrapping foods in the fridge, but not the stove or microwave). Lately I read about making your own from fabric and melted beeswax, so it might be worth a try. I remember you mentioning those. And I've read about making your on wraps, with bees wax and unbleached, heavy muslin. That could be worth a try, especially for homemade bread, if it had some fasteners attached, like velcro, or ties.